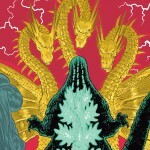 IDW is kicking off this month with a new issue of Godzilla Oblivion and we’ve got the preview! 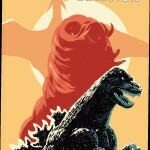 In stores this week is another issue of IDW‘s Godzilla Oblivion series! King Ghidorah invades a world that has never known monsters. The world’s military and scientists struggle to find a way to stop him. The only option may be the unthinkable? Recently we showed you upcoming ZyuohKing merchandise in the form of the DX and minipla toys. Ready for more? Bandai of Japan has released official images for their upcoming Fighting Action Robo ZyuohKing. This candy toy will retail for 920 yen. 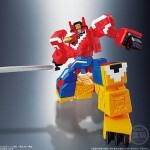 Unlike its minipla and DX counterparts, it doesn’t combine but full articulation is emphasized. Read on for new images. 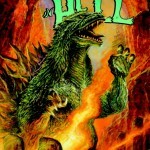 The last issue of IDW‘s Godzilla In Hell series is out tomorrow and we’ve got the preview! Godzilla’s final foray into the depths of Hell will prove to be his most challenging yet! Will Godzilla be able to find his way back to the living world? An unstoppable force unlike any he has seen bars his way! Godzilla! Still in hell! Fighting monsters! IDW‘s newest series continues tomorrow and we’ve got the preview for the new issue! 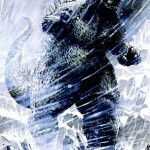 Godzilla’s journey is stymied by an impenetrable wall of living flesh! Cornered, with nowhere to go, he is beset by devilish versions of his greatest foes-Destoroyah and King Ghidorah! Read on to check it out! 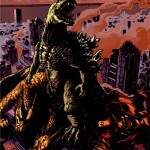 It’s Godzilla vs Space Godzilla in hell! And we’ve got a preview! What brought Godzilla to Hell? A glimpse of Godzilla’s greatest battle gives clues-but what will happen when Godzilla faces a rematch with that same foe in the underworld? Godzilla went to hell, what? New comic in stores tomorrow, preview it here! 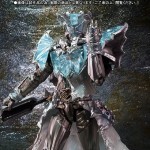 Recently we posted release information for the upcoming SIC Kamen Rider Wizard Infinity Style figure. Magazine scans can sometimes obscure the true intricacies and details. However the Tamashii WebShop has come through with our clearest look at this upcoming figure yet! Read on to check out the official images for SIC Kamen Rider Wizard Infinity Style! › Characters: Kamen Rider Wizard Infinity Style › Toyline: S.I.C. 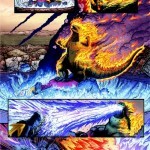 Tomorrow a new issue of IDW‘s Godzilla Rulers Of Earth hits comic stores and we’ve got the preview for you!